What are some other digital learning objects (not video)? Unit planning could involve a student calendar with a listing of "required activities"
In what ways can I better assess next-day understandings from homework videos? As you begin or further your journey into flipped learning, you might find it beneficial to consult some educational blogs on the subject. One popular blog is that maintained by Flipped Learning co-pioneer--Jon Bergmann. 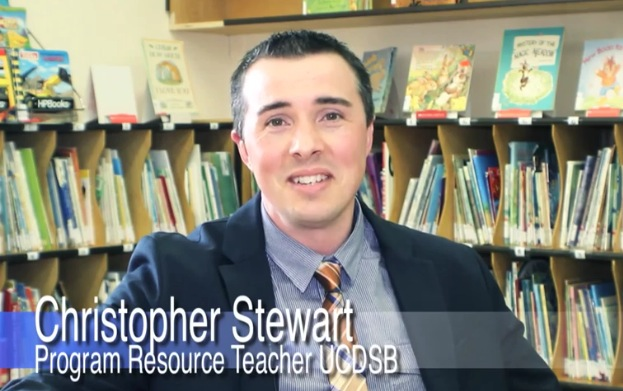 Jon has co-authored several books and speaks to the flipped classroom concept. Several of his books are available for order through ISTE. I have had the pleasure of reading three of his publications, and they have not only been of a great resource for my early stages of flipping, but they have inspired me to do more by collaborating with students and teachers regarding flipped mastery experiences. You can further support your professional learning by searching for other Ontario, classroom teachers, school administrators and system-level professionals to collaborate with on building and incorporating varying models of learning into classroom-, school- or system-based models of professional learning: the PLN Finder. By clicking on the first link (below, left), you'll be taken to a Google Form. Through the form, you can indicate the 'place' that you're at in your journey and your intentions/level to which you'd like to participate. The second link will take you to the form's results such that you're able to contact those with whom you'd like to collaborate. It's that easy! Note: By using this service, you are providing Flipping the Focus with consent to share the information you provide with potential collaborators through this platform. Please be advised that it is incumbent upon you to use the information strictly for its intended purpose--i.e., to build a network of educators seeking to shift their teaching and/or professional learning practices. If you have any questions about the PLN Finder, please contact the service administrator. If at any time, you'd like to be de-registered from the service, please contact the service administrator.